Pebble's unique smartwatch platform still has a few advantages over Android Wear and the like, particularly in battery life. 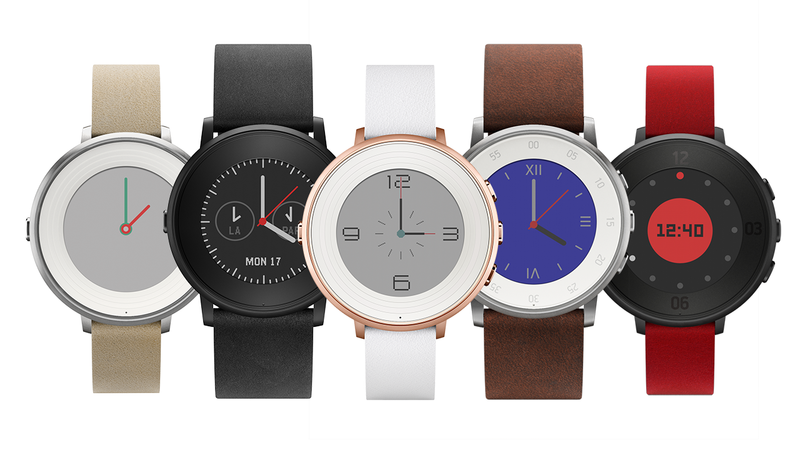 And the latest version, the Pebble Time Round, is worth considering for anyone who was a fan of the original Pebble. It's considerably better-looking than the square Pebble Time (relatively large bezels notwithstanding), and the color screen and three-button interface are preserved. 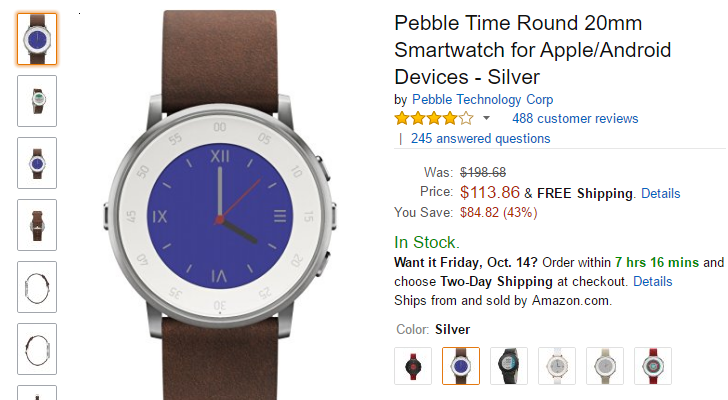 Today several of the Pebble Time models with leather straps have a generous discount over on Amazon. Prospective buyers can pick up the black case + black strap model (20mm), black with red strap (20mm), or steel with tan strap (14mm) for $143.99, a $56 discount off of the retail price.